As is often the case when starting off these reviews, here’s a question for you to chew over. Is it possible to write an apolitical piece of fiction? One view of the political process is that it’s the discourse used by those who seek to achieve power. Although some would no doubt wish to reserve the meaning to the electoral mechanisms for appointing people to government, the practical reality is that the way people communicate with each other can be used to influence decisions at a personal or small group level. I might get very political in discussing possible projects with friends and colleagues. This might be trading on the nature of existing relationships or offering outcomes which might be mutually beneficial. Hopefully, these exchanges will be benevolent but, inevitably, there are times when threats of unpleasantness are made. The process of negotiation is always about sticks and carrots. When authors write about their own cultures for the readership of those who are a part of that society, much of the mechanisms of political interaction can be left unspoken. Among those who have been socialised in the culture from birth, there’s no need to state the obvious. Hence the moment an insider offers a commentary or critique, it’s always classified as humour or, more dangerously, as satire to warn people the content is not to be taken seriously. I cut my early teeth on Stephen Potter’s books defining and exploring gamesmanship among the English. The art of cheating without getting caught has always been close to my heart. If outsiders write similar books, the English are patronising or faintly contemptuous as if outsiders can never be trusted to see through to the truth about Englishness (whatever that is). In the end, it’s all about controlling the salience and importance attached to the book. If a book is saying something unpalatable, it has to be marginalised so it will not disturb the smooth flow of the discourse. Assuming its release can’t be prevented, of course. Writing about China is always political. This is a nation whose culture depends on the concept of face. It’s not considered socially appropriate to write or say anything that might cause others to lose face. Equally, at a higher level, it’s not politically acceptable to say anything that might divert public opinion against the current orthodoxy as defined by the Party apparatus. So here comes a book written by a Chinese born man who now makes his home in America. In these internet-connected days, what one writes in one country is often picked up and commented on in others. This means the author must be careful what he writes. If he wishes to return to his home city of Shanghai, he must tread carefully when deciding what picture of China to present to his American or other readers in the West. 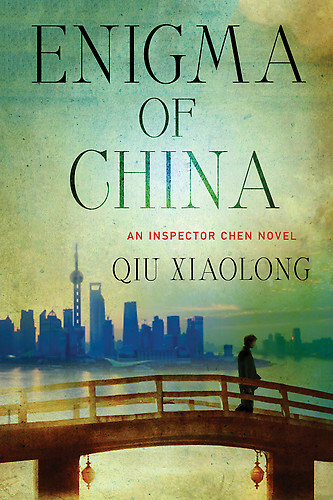 Enigma of China by Qiu Xiaolong (Minotaur Books, 2013) is the eighth instalment of the Inspector Chen series (not to be confused with the Detective Inspector Wei Chen series by Liz Williams), which feature Chen Cao as Chief Inspector of the Shanghai Police Bureau, first deputy Party secretary of the bureau, member of the Shanghai Communist Party Committee and sometime poet. So how is our politically aware police officer to interpret his appointment to oversee the apparent yet suspicious suicide of Zhou Keng, the director of the Shanghai Housing Development Committee? As a man with a reputation for honesty, is he supposed to rubberstamp the predetermined official finding of suicide, or is he to act as a kind of stalking horse to flush out prey? The “safe” line would simply be to assume endorsement of the party line is required. If there are doubts, they can be included in an appendix to the official report which his superiors in the party can forget to publish. But without being able to ask anyone for guidance, he must judge the factional landscape. For all the party might like to portray itself as monolithic, there are always political currents and eddies as different groups vie for influence and power. In this instance, there may be stresses in the relationship between Beijing and the local government in Shanghai. If this speculation is correct, Beijing might expect a very different report. So to whom does a police inspector who’s rising through the ranks owe his duty? Is it to his immediate political masters or to higher powers. In answering this question, we should not forget the rise in the power of netizens as the internet enables challenges to the discourse published through state-controlled media. Indeed, it was a piece of crowd-sourced investigative journalism that triggered this particular crisis. Zhou Keng was exposed as probably corrupt through a photograph of him smoking a very expensive brand of cigarette. Other officials are also being photographed wearing expensive watches and driving luxury cars. Although action can be taken against individual bloggers after prejudicial information is published online, it’s very difficult for the party to deter future revelations. To appease the public, Zhou Keng had therefore been relieved of his post and placed in a form of extralegal detention. The Shanghai authorities naturally hope his suicide in custody will be interpreted as an admission of guilt and bring this particular matter to an end. Inspector Chen must decide whether to investigate and, if he does, what he must do with the results. It might suit Beijing to make an example of Shanghai if the corruption was widespread among the Shanghai government elite. Enigma of China by Qiu Xiaolong is a rather pleasing meditation on the nature of duty and the role of a police officer. He might suggest it’s not his job to prejudge the facts or second-guess the judges (legal or political). All he need do is discover the “truth” and leave it to others to decide what to do with it. Except if he had a romantic view of justice, he might consider himself under a more universal imperative to act when it’s the right thing to do. The answers here are illuminating. China, as the title suggests, is an enigmatic culture so you should not expect easy, black-and-white assertions. In the final analysis, it’s somewhat melancholic to discover that this culture is not unlike our own. The decision to become a whistleblower is no less difficult in our society which is supposedly more open and accountable. Those in power never like to feel threatened by mere police officers. Agatha Christie’s Poirot: The Big Four (2013) (Season 13, episode 2) shows us in heavy-hitter territory with big guns coming together in circumstances we expect them to pull off genuinely bravura performances. Let’s start with the script by one of the most reliable hands in the business. Mark Gatiss and Ian Hallard are credited. I make no comment how the latter came to get the job. I simply assume the relationship between them was not considered relevant and that he earned this sole writing job on merit. 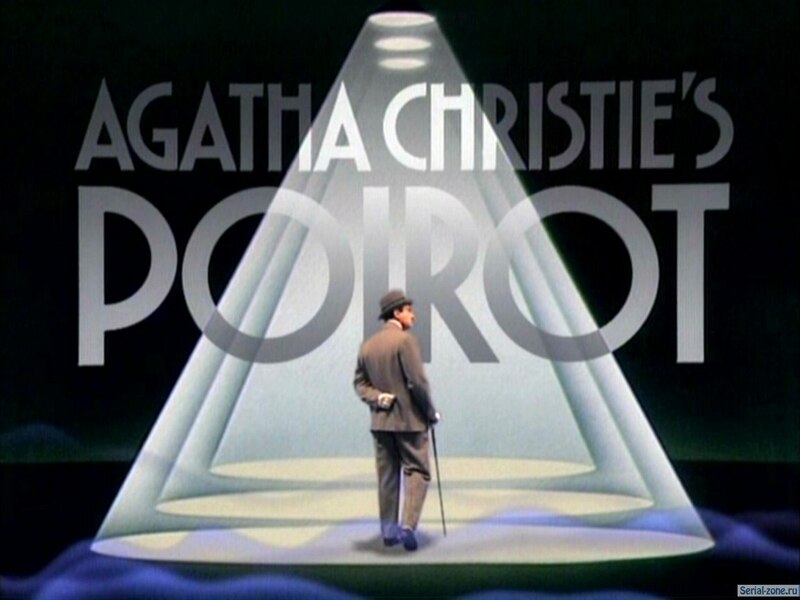 Appropriately given the title, we have Hercule Poirot (David Suchet), Captain Hastings (Hugh Fraser), Miss Lemon (Pauline Moran) and Assistant Commissioner Japp (Philip Jackson) in a reunion episode to celebrate the final set of adaptations to more or less complete the Christie canon. Having brought them all together, it seems rather a shame not to give Hastings and Miss Lemon more screen time. Hastings in particular is made to look even more a sidekick adrift without a rudder than usual in this episode. We should not be surprised this potboiler melodrama, first published in 1927, has been left untouched until now. Structurally, the first book appeared as a fix-up, i.e. the elements in the book were published separately as short stories and then amalgamated into the “novel” we know today (or rather we avoid knowing today because it’s one of Christie’s worst books). That’s why some applause should ring out for Mark Gatiss. He has contrived to completely restructure the basics of the plot, changing the order of the deaths, and producing a coherent story with a rather remarkable ending in which everything but the kitchen sink appears to pad it out. This is not so much a condemnation as you might imagine. The unmasking of the villain may grow increasingly absurd, but there are elements of fun to make it watchable including the rather pleasing attack on Poirot’s vanity and his sense of theatricality in wanting a confrontation with all the suspects at the end. So what’s this version of the story all about? Well, despite the advanced age of our primary characters, we’re set in the 1930s at a time when the world is beginning to fear there might be a second war. There are incidents in different countries which cause a certain loss of confidence. News media whisper the name of a new criminal organisation calling itself The Big Four which seems to ferment disorder with a view to profiting from arms sales. Led by a Chinese thinker, the Peace Party tries to right the balance, but an attempt to produce some degree of rapprochement with Russia comes unstuck when an old Russian chessmaster dies unexpectedly while playing an exhibition match. With suspicion falling on Abe Ryland (James Carroll Jordan), one of the people fronting the Peace Party, he disappears. This suggests he is one of The Big Four. Then one of the world’s experts on the Chinese leader is brutally murdered in his home. What is it that this leader is trying to hide? When a further murder implicates Madame Olivier (Patricia Hodge), the third leading member of the Peace Party, the press are convinced this Party has been playing a double game, terrorists masquerading as peace ambassadors. So the first section of this adaptation plays the paranoia game with even the “respectable” newspapers stirring up anxiety. As the reputation of The Big Four rises, the attempts of the British government to calm the public with bland reassurances fail. Sadly the no-smoke-without-fire trope worked just as well in the 1930s as it does today. I’m slightly disappointed Tysoe (Tom Brooke), the pervasive journalist, was given such a lower middle class accent. Speaking like that, he would not have been allowed through the doors of the foreign office, let alone be permitted to speak to a senior civil servant. And talking of accents, we have the absurdity of a Belgian and French character talking to each other in French-tinged British accents instead of la belle langue with subtitles. I liked the character of Flossie (Sarah Parish) as the totally self-absorbed actress, but thought Simon Lowe played the part of the unmemorable Dr Quentin unmemorably. So given the source material is so poor, the result on screen is quite pleasing. As always, the sense of period is done beautifully with every aspect of the production working to create the right look and feel. There are several gaping plot holes that I should mention. The first is the problem of time. Our chameleon killer can be everywhere being a clergyman, a delivery man, a chauffeur, etc. but also have a highly responsible role which should have required his presence on a full-time basis. And then there’s the question of how the drugged individuals were hidden and kept alive during such a long period. There just aren’t enough hours in the day for the killer to have fitted all this in. And did they really leave theatres in mothballs for fifteen years when rep and music hall were at their height? I don’t think so. And although the motive for one of the deaths fits, the overall point of all the press manipulation and murders is less than convincing. This leaves me thinking the result has one or two good moments but is, on balance, a failure. David Suchet is outstanding, genuinely coming alive in the confrontation at the end. But everything else collapses as a house of cards when the door of thought opens and you review what happened. 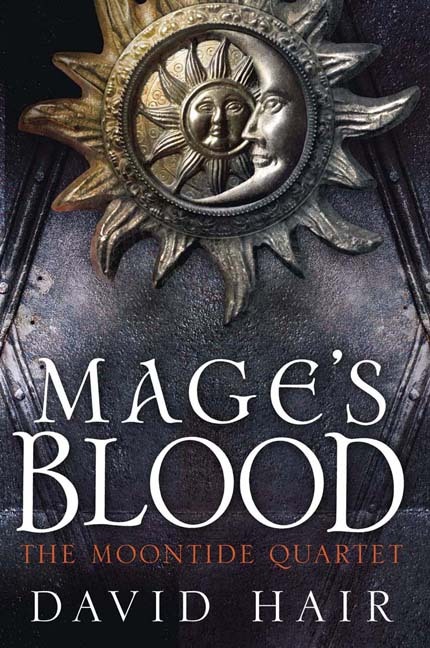 Culturally, Mage’s Blood by David Hair (Jo Fletcher/Quercus, 2013) The Moontide Quartet 1, takes us into the high fantasy equivalent of Earth distilled down to the hegemonically inclined Europeans and the states on which the predators would wish to impose colonial or vassal status: for these purposes, simplified down to Arab and Indian nations. In the “West”, the early religion has been displaced by the worship of an individual who’s credited with the development of magical powers in three-hundred of his disciples. Depending on your point of view, you can either see this man as an analogue of Jesus or a peace-loving hippie. Having collected a large group of people we then have the darkly amusing threeway split between the mythology and the facts as recalled by two different people who were there. In the religiously and politically correct version, the entire group was surrounded by an army preparing to slaughter them as fanatics and terrorists. The leader then inspired the core of three-hundred believers who wiped out the armies around them and then went on to create the current empire. The oral history has the leader conducting a drug trial on his unsuspecting followers. Most died or became insane, but a group survived more or less intact. Two factions acquired supernatural powers. One group hewed to the “give peace a chance” philosophy of their leader. The second saw a route to military power and political dominance. The third seemed not to have acquired powers. They separated and have largely avoided fighting each other although the neutrality of the pacifists has been sorely tested by the atrocities perpetrated by the militarists. In a sense, this might have remained a rather academic dispute, but some of these mages have lived for six-hundred years while discovering they can pass their magical abilities to their children (there’s a further interesting side effect which will make a pleasant surprise when you read it). For plotting purposes, we have the offspring of the whole blood feted as powerful, while the level of achievement declines depending on the ancestry. As in caucasian culture, we have fine distinctions based on half-blood, quadroon, octoroon, and so on. Perhaps the most populist of the fictional explorations of this theme have been in the Harry Potter series where bigotry and active discrimination bedevil relationships between the magicians themselves, and between the magicians and the muggles. Thematically, this book also has a short Hogwarts element where we see young magicians being trained in the different arts. As world-building, we seem to have a rather interesting situation. On our world, we had a coherent land mass on which our species could begin its evolutionary rise to dominance. Movement of the tectonic plates then slowly produced the current distribution of land about the planet. Obviously, there are oceans stretching several thousand miles between continents. That’s why the human species is widely dispersed. As the configuration of the land changed, so our ancestors moved from one area to another to hunt and gather. It would be interesting to know whether this world followed a similar pattern of geological development given the closer proximity of the moon. If the moon is so close and the gravitational force it exerts is strong enough to produce the equivalent of a very low tide which lasts for two years, where does the water go? If it’s being drawn to a different part of the world, do we assume this part of the world is flooded for two years? The moon’s effect cannot be to cause immediate evaporation of the seas. So why does the part of the world we can see not flood at their equivalent period of high tide? Put it this way. The gap between these two continents is only some three-hundred miles and, at one period of time, the water level drops to the point where the mages can build a bridge on the not quite exposed sea bed, you would expect there to be a matching period when the sea inundates the low-lying land on both sides of the sea. Yet there are no dykes as in the Netherlands and no historical records of agriculture being cyclically disrupted by the arrival of large quantities of salt water. Then there’s the mystery of the moon that does not bark in the night. If this moon is so close it can have this effect on the fluid dynamics of the seas, why is the land so stable? I was expecting there to be fairly continuous seismic activity, yet there are no reports of tremors and earthquakes. The latest research suggests seismic activity is more likely in areas where the gravity field is weak. Higher gravity slows the frictional behaviour of the fault lines, i.e. if the area has higher gravity for longer periods of time, the tectonic plates are less likely to slip. So if the moon’s gravitational effect is producing wider variations in the subduction zones, you would expect more instability in some areas. Ah but, wait a moment. This is high fantasy and so the world-building doesn’t have to match currently scientific thinking. A fantasy author is free to establish his or her own “ground” rules for how stuff like gravity works, particularly if mages can defy gravity to fly carpets and boats. The only things required are that the way the world works is coherently described (if not explained) and the magic system must not be capricious, i.e. it must be subject to predefined rules which produce known strengths and weaknesses. On this basis, I’m pleased to announce this is in the top three fantasy books I’ve read this year. Ignoring all the previous issues, this fantasy has two strengths. The first is the characterisation. Over the fairly considerable length of the book, we meet a significant cast of characters, but even the relatively minor are given a chance to make their mark. In a sense, this reflects the overall theme of the book which is that, no matter how powerful individual mages may be, the future of the world ultimately depends on the less powerful or, in magical terms, those individuals who have never developed magical powers. Someone always has to do the work or fight in armies when called upon to do so. Hence, we have three major narrative arcs. One features one of the original three-hundred who leads the Peace Faction and foresees the need to produce children. He therefore buys a fertile wife with no magical power. Snatched away from her home, the man she would have married follows to seek revenge. The second shows us three youngsters who get caught up in a political situation because one incautiously speculates that a magical artifact may be hidden in their area. This flirts with YA tropes but just stays on the right side of the line albeit that the “hero” is relatively underpowered and naive. The final arc features two powerful individuals who spy for the dominant militarists. Through them, we get to see the inner working of the empire’s leadership — not a pretty sight. The second strength is the lack of sentimentality in the plot. Too often fantasy stories deal with simplistic black-and-white characters in replays of mediaeval, Wild West or more modern military scenarios. The good, the bad and, occasionally, the ugly draw weapons appropriate for the level of technology and have-at-it until only the good and, occasionally, the ugly are left standing. In this plot, we have every shade on the way from black to white with expediency shading the response of individuals in each situation. This eschews the tendency of the good to be paradigms of virtue who are always courageous, living their lives according to a higher moral code. The majority in this book are “complicated” with no saints and only one or two irredeemably bad. It’s also refreshing to see even the most powerful come unstuck. This can be because of vanity, paranoia or a blind chance. Wishful thinking and misplaced affection also have their parts to play. In short, this book feels like a slice of real life albeit transposed to a fantasy setting. Accepting the need for some infodumping to introduce the magic system as we go along, this is a bravura piece of writing and, even though not the most original when it comes to individual plot elements, the overall effect is spectacular. Mage’s Blood is strongly recommended. I see Book Two in The Moontide Quartet is already published in the UK. Hopefully a copy will come my way soon. For a review of the sequel, see The Scarlet Tides. 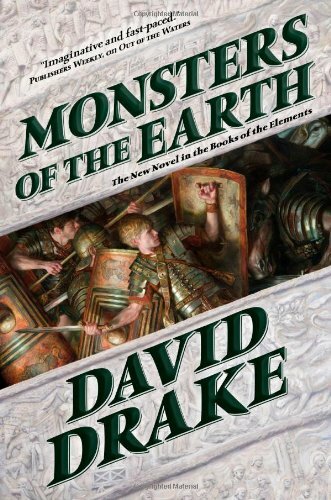 Monsters of the Earth by David Drake (Tor, 2013) Books of the Elements 3, sees us following the story of this fictitious version of Rome. With our heroes returned to a placid life of decadent luxury “by local standards” after saving the multiverse from Atlantean destruction, we’re treated to another round of historical drudgery with the first third of the book traipsing round the households and going on a shopping trip to get us in the mood for some exciting fantasy action. For those of you who want to get the full flavour of life in “those times”, this is an indispensable part of the book. In structural terms, it confirms the imminent arrival of another cataclysmic threat. Yes, two large crystalline beasts, somewhat along the lines of caterpillar vacuum cleaners, are going to emerge from the earth and scour the surface until there’s no life left. No-one will care what happens next because there will be no-one around to care. Our self-deprecating hero who prefers not to think of himself as the greatest magician of his age, feels under pressure to save the world (again). There’s just one problem. He has absolutely no idea how to do it. All he knows is that once released, these worms are unstoppable until they either run out of surface to consume, or they are stopped. Note the slight paradox there. His vision tells him the worms of doom have already been activated and so are unstoppable, yet they are not yet into scouring mode and so are stoppable. Or something. If you still care enough, you can read this to split the hairs and come up with the answers which revolve around this book of magic. It seems whoever holds the book may have some say in the doom thing. So, not surprisingly, the plot has two major expeditions to recover said tome. Yes, there are two magicians who want the book. Well, there are actually three magicians, not counting the hero, the tree whisperer and the griffin wrangler, but only two of them are book collectors. There’s a nonhuman magician as well but she’s only along for the ride and, for those of you counting, there’s also a demon with magical powers who gets dragged around and told what to do (life can be tough when you’re an imprisoned demon). Anyway, back to the original two magicians: one has come up with a magnificent way of distracting the guardian of the cave where the pivotal book is kept. This involves the hero’s mother and, depending on your point of view, this should not happen to a dog let alone a dignified Roman matriarch. But it does, so we all have to get over it without cracking too many jokes at the end. This magician has good powers and can step straight through a mirror portal from his bedroom to the island where the cave is to be found. The second magician who has our hero as his passenger is moderately powerful, but it only extends to recruiting a crew to row a small(ish) boat to the island. Needless to say, he gets there too late. The third magician who has no interest in the book manages to move through interdimensional doors. He puts together a small army of big creatures called Ethiopes, and they trample backwards and forwards and across time in search of the Egg. Yes, I knew that would recapture your interest. We do eventually find out what the Egg is. I’ll leave it to you to decide whether it’s worth the wait. To sum up, people who will later be of interest move around this alternate version of Rome for the first third of the book. A fancy piece of headgear is purchased at an exclusive store but has no real significance or importance later in the book. We meet four “captured” lizard men who agree to stay captured for quite some time. And then it’s off we go in the underwhelming quest as our group of regulars, all starting from different points, contrive to end up at the same place and time for the climactic ending with the wormy caterpillar things actually chewing up the landscape. If we were to take not less than one-hundred pages out of this volume, Monsters of the Earth would be a reasonable plot. As it is, this is a tediously boring read. We’re back to this problem of definitions. 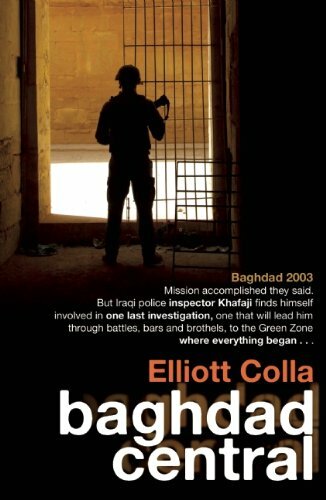 In this instance, the marketers have headlined the book on the front cover as “A Thriller”. So what do I understand by this term? It differs from a mystery in which the protagonist is confronted by a puzzle and spends the book solving it. Rather the wrongdoer is revealed, usually through some level of melodramatic activity, and is then pursued by the protagonist or pursues the protagonist with the intention of injury of death. This grounds the book in the experience of the protagonist who has to endure danger and fight for survival against the odds. If the author is successful, we empathise with the protagonist and so vicariously feel his or her fear as we approach the climactic ending. 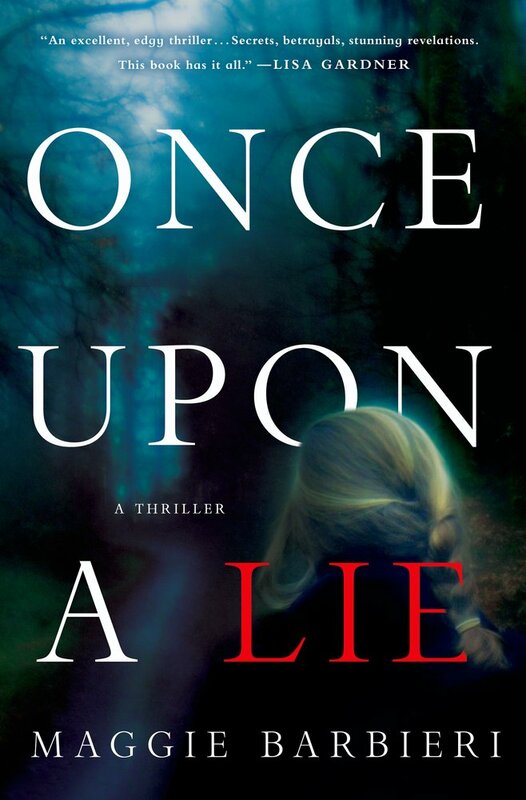 Well, no matter how you look at Once Upon a Lie by Maggie Barbieri (Minotaur Books, 2013), using the word “thriller” is a compete misdescription. In fact, this is almost a conventional novel about a woman struggling through a life of challenges. It becomes a crime-related story because her cousin has been murdered. From the little information we glean, he seems to have been found in his car in a fairly dark car park with a bullet in his head. This may suggest he was engaged in some extramarital sexual activity at the time of his death. We meet members of the family at the wake and later when the ashes are thrown into the river. But the point of the story is the father of our “hero”. He was a police officer whose wife was killed in a hit-and-run. This left him with the burden of bringing up his daughter on his own. He did his duty by her, working extra shifts to generate the money to pay for good schooling and to provide all the basic necessities of life. This well-intentioned approach left his daughter lonely and somewhat vulnerable. In part, this may explain why she never really benefitted from all the material advantages she had. Except she married well and had two daughters of her own. This was giving her a “good life” until her lawyer husband’s eye strayed to a younger woman and ended the marriage. He’s still in her life and has a reasonably good relationship with the girls, but his absence changed her economic circumstances for the worse. She makes a living by running a bakery business — her cupcakes are famous — but it’s never going to make her rich. All this would be bearable but for her father. His mental faculties are rapidly declining. He’s very forgetful and, although physically fit for a man of his age, cannot be trusted on his own. She’s done her best by finding residential accommodation for him but, of course, there’s a problem. On the night her cousin was shot, her father was missing from the home. No-one knows where he was nor what he was doing. 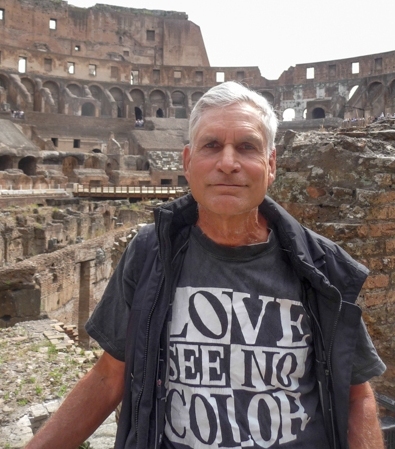 As someone teetering on the edge of Alzheimer’s, he can’t remember or give any coherent account of where he was. Without an alibi, the local homicide detective has him down as a “person of interest”. As the book progresses, the detective becomes more active, questioning her father at the local police station and researching his background. With increasing desperation, our hero begins her own investigation. Where might he have gone? What might he have been doing? On the way, she encounters the detective who seems to be following the same leads. They both end up at the local train station where there are machines to issue tickets. There are no cameras to show he was there but, if he had taken the train, he had enough money to pay for a taxi at the other end and so get to the car park where the murder occurred. They agree it was physically possible for him to have committed the murder. Spurred into action, our hero tries to devise a way to give her father an alibi. The problem is his lack of understanding. She can’t tell him what to say — he’s likely to blurt out that she’s been coaching him. This and other problems must be solved. In the midst of all this, her younger daughter is going through a rebellious phase with an unsuitable boyfriend and experimentation with soft drugs, and a customer at the cupcake business is obviously being abused by her husband. When our hero sees this woman’s daughter with a broken arm, she’s outraged and finds herself threatening the man with dire consequences if he injures either his wife or daughter again. The strain is really beginning to tell on her. Putting all this together, Once Upon a Lie proves to be an engrossing read as we watch our hero struggle from one day to the next, dealing with each new crisis as it arises. Her ex-husband is less useful than he should be. Indeed, in some ways, he’s more a hindrance than a help and we wonder whether his new marriage can hope to survive. Her few friends do their best to help her but she’s essentially on her own. She pretends to be fierce. Her name does mean “warrior queen”. But if it were not for her immediate family, she would just give up. This makes the end touching and affecting, tinged with sadness but, perhaps, vestiges of hope still remaining. 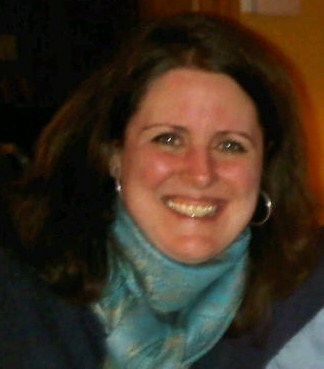 For a review of another book by Maggie Barbieri, see Extra Credit. 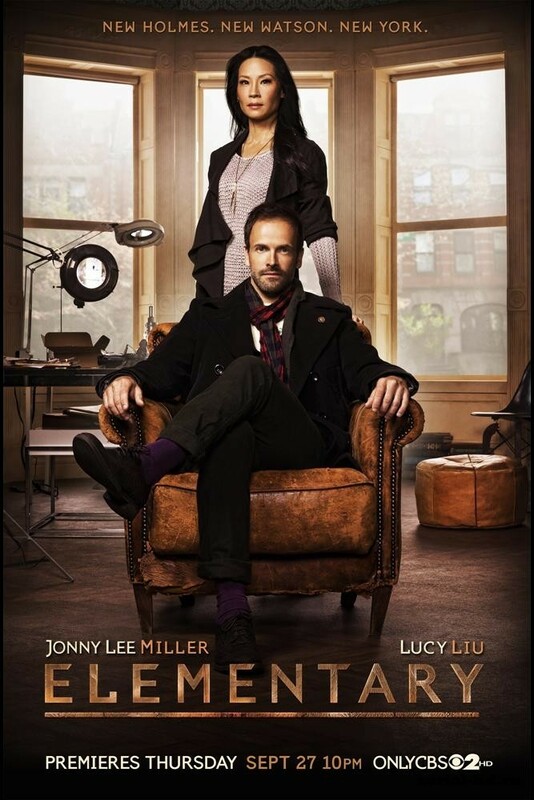 Elementary: Season 2, episode 9. On the Line starts us on top of Thor Bridge, but those of you who are keen adherents of the original canon need not panic. This is just a pretext. The suicidal woman is out to frame Lucas Bundsch (Troy Garity) for the murder of her sister. She goes through the motions of stealing a gun from his home and then using it to kill herself. Our accused demands a polygraph and is just beginning to answer questions when news comes from the bridge. As Sherlock Holmes (Jonny Lee Miller) had predicted, the weighted gun is in the river. Our accused need not answer any more questions. Except Sherlock is now convinced this man is a serial killer and he wishes he’d allowed the suicide to frame him. Sherlock and Dr Joan Watson (Lucy Liu) then deconstruct the technique to be followed by anyone who wants to beat a polygraph test. Edward Snowden and all others who have to go through mandatory polygraph testing should try out this method. It looks good with tongue biting, controlled breathing and antiperspirants to the fore. The meeting with Detective Gerry Coventry (Chris Bauer), the veteran detective who had the original case, is not a success. He’s dismissive. Indeed, his attitude offends Sherlock and leads to a public spat. Captain Tobias Gregson (Aidan Quinn) tells both to cool it but even Watson is surprised by Sherlock’s vehemence. As retaliation, the detective gives Bundsch the brownstone’s address and he comes round to threaten our heroes. This confirms the battlelines as Holmes tell him how the crime was committed: unconscious woman moved out of the flat in a refrigerator, a fake bomb strapped to her ankle to force her to make a telephone call where cameras would pick her up, and so on. When the confrontation is over, Holmes now dumps on Coventry which pleases no-one. 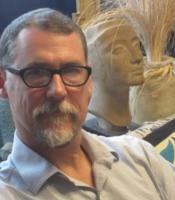 As justification, there’s a link between Bunch and two other women who have disappeared. Holmes and Watson split up to talk with the families, Detective Marcus Bell (Jon Michael Hill) going with Watson. We now arrive at another of these background issues that the good series deal with sooner rather than later. Indeed, if you watch the BBC Sherlock series, the hostility of the rank-and-file police to Holmes is strongly featured. That’s why they are all too ready to believe Moriarty’s monstrous lie. So Coventry is the tip of the NYPD iceberg. If Gregson does not stop Holmes from showing them up as less than competent, the offended precinct will call in the union and raise a formal complaint. Gregson’s defence that Holmes has a high closure rate cuts no ice. The morale of the police is more important than the performance of the outside consultant. Independently, Watson has picked up on the growing animosity. She pulled a cartoon from the noticeboard and asks Holmes whether it would actually cost him anything to be more civil to his “colleagues”. All the honest cops are in the same business of trying to put criminals behind bars. Instead of put-downs and slights, they should all be working together in good humour. This leads to an interesting point of clarification. As Polonius says in Hamlet, “To thine own self be true.” More often than not, Holmes claims he gets results because of the way he treats people. He resists the idea of making nice as hypocrisy. He understands Watson’s point that there’s a certain utility in oiling the wheels of professional relationships. He just sees no point in it where he’s involved. This means, of course, that Watson is going to be involved in some unpleasantness — they are both named in a restraining order in this episode — but that’s part of the price she must pay for working with him. Oh, and before you ask, the only reason he makes the to-him extraordinary effort to be courteous to her, is that he considers her to be extraordinary. So the woman who helped him deal with his addiction and now shows signs of ability as a detective is extraordinary in Sherlock’s eyes. Hmmm. I’m not sure about that. It’s understandable that we might want to see the woman who stands beside Holmes as something special, but that’s not quite the way she’s been written. Yes, she may be a very good technical surgeon and she’s very patient with difficult addicts, but her first steps as a detective are only mildly impressive. This is the Sherlock Holmes show after all. So his assessment of her as extraordinary must be based on something else. If I was going to be unkind, I would refer to men who capture and/or train extraordinary animals and keep them around as pets. Or I could suggest he’s too proud to admit he simply likes her for who she is, has matured in the emotional department to admit her into his affection, and will leave future developments to natural evolution. He’s not a conscious change person as we’ve seen from his approach to the addiction. He has to grow comfortable with himself at each stage of his rehabilitation as a person. The plot involving Lucas Bundsch should really have been spread over two episodes. There was great potential in this man to challenge Holmes. It would have been good to end the episode as Holmes realises he’s been sent on a wild goose chase. We can then have a proper investigation of the support group, analyse the methodology of the serial abductor and killer, and arrive at the conclusion. On paper it sounds good but how would Gregson convince a judge to move on this when Holmes has been hit with a restraining order? As presented, the solution is over in two minutes with victims recovered. Gregson hangs tough to the NYPD — anyone who doesn’t like my using Holmes, the door is over there (well, actually there are several doors, but the point is made). And that’s an end of the episode. This artificial limit on plot development is tiresome. 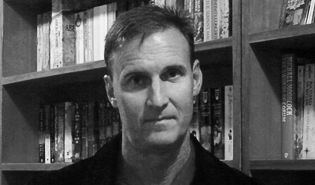 The production team cast Troy Garity as the killer who proved a great success. He would have done well as an adversary over two episodes. On the other side of the fence, Chris Bauer was underused as the political situation in the precinct was swept under the carpet. Aidan Quinn was given more time which worked well. 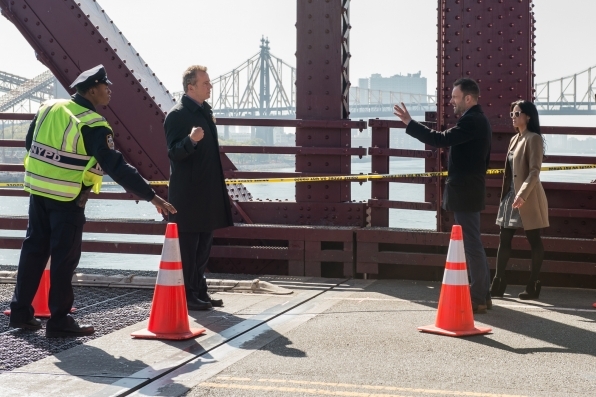 Good as Elementary: On the Line proved to be, it could have been so much better.